Heat oil in a handi or pan. Add fennel seeds, cloves, cinnamon, cardamom, bay leaf and star anise. Saute a while. Add chopped onions and fry for 2 mins. Add chopped green chilies and ginger-garlic paste. Stir for few mins. Add chopped tomatoes and mash the pulp. Add chopped vegetables, turmeric powder, coriander powder and cook for 5 mins. Add 4 cup water and allow to boil. Add soaked rice and salt to taste. Mix well. Cook it covered on medium flame for 10-15 mins. Serve hot. 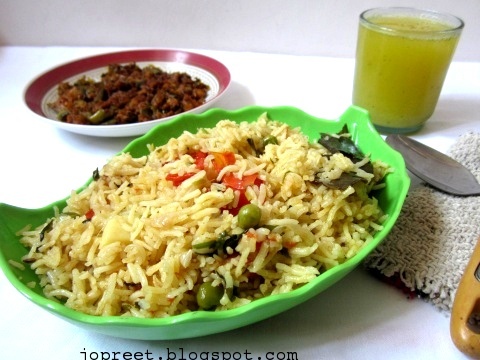 This looks super delicious Preethi! Spectacular lay out dear. I am always scared to use methi leaves too much, in case it left a bitter taste. I think I will have to change my opinion about them. I'm sure I'm going to try this dear. 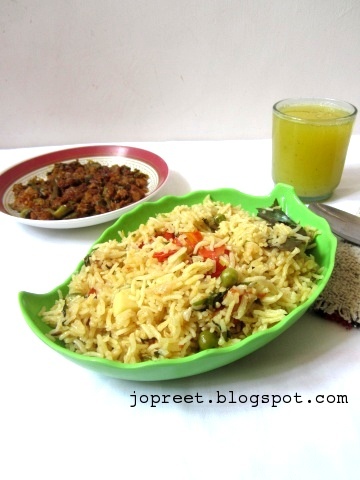 Very healthy and lovely combo with spicy brinjal fry. nice pulao idea 🙂 i make aloo methi sabji but not tried with rice. 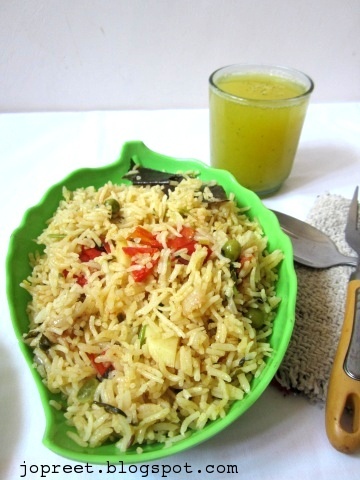 Nicely presented pulao..Like the grainy texture and flavour of it.. Very interesting combination, looks tempting! That's definitely my fav flavor..aloo-methi..My god.pass me the plate dear.